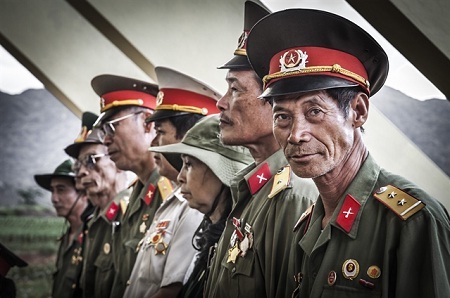 A photo of Vietnamese war veterans taken by Spanish photographer Sergio Diaz had its name on the shortlist of the Sony World Photography Awards 2015. The photo was selected from 173,444 entries from 171 countries, focusing on people and landscape. It was among top 10 entries in the People category of the Open Competition in the framework of the Sony World Photography Awards 2015 - the world’s biggest photography competition and its aim is simple: to recognise and reward the best contemporary photography in the world. The Sony World Photography Awards 2015 has five competitions: Professional - 15 categories, judged on a series of images, aimed at serious photographers; Open - 10 categories, judged on a single image, open to all; Youth - 3 categories, for photographers aged 19 and underStudent Focus - for those studying photography; and Mobile Phone - for images taken with any mobile phone.